On Tuesday, a lucky South Carolinian bought the winning ticket for the $1.5 billion Mega Millions jackpot. The winner might be dreaming about a private island and mega-yacht to rival Richard Branson’s, but they must also make some big financial decisions and understand certain tax implications of the win. Let’s look at what happens after a lottery win. Lump Sum or Installment Payments? 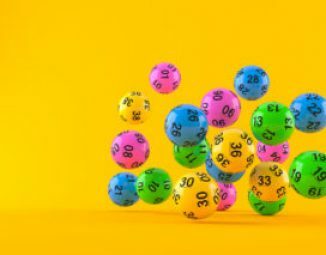 The winner first needs to decide whether to take his or her winnings as a one-time lump sum or in installment payments paid out over three decades. Each choice has pros and cons. The lump sum would be a smaller total payout—in this case $878 million. It would incur the top federal tax rate of 37%, and the 7% state income tax that South Carolina imposes on its highest earners. These taxes would bring the lump sum to $492 million. On the other hand, after taxes, the installment payments—about $29 million annually made over 29 years—would total roughly $841 million. The installment payments mean more money, then. They have another advantage, too: if the winner makes poor money management decisions, he or she won’t risk losing it all at once, and will have the chance to learn how to manage it better over time. The installment payments may sound like a no-brainer, but it is also possible that the lump sum could result in more money in the long run if it is well invested. There are many advantageous planning options for managing the winnings, including putting them into a trust or LLC. For money of this magnitude, the planning will be complex. Let’s look at the trust example on a basic level, though. A trust would generate income on the money and could protect it from creditors. The trust would pay income tax, though. Claiming the winnings in a trust (or an LLC) could also provide privacy. The winner could retain anonymity by not using his or her name in the trust’s name. 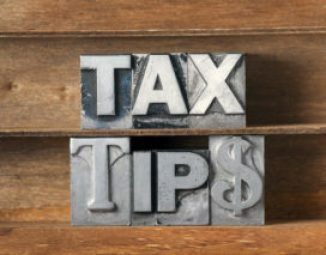 The winner should be sure to seek competent tax and estate planning advice, though, because suspicious-looking efforts to minimize tax payments might invite attention from the IRS. The winner might be feeling generous towards family, friends, and charities. 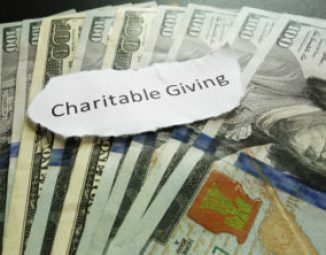 He or she may want to help a family member pay off a mortgage, or to donate to a favorite cause. The main issue here will be gift tax. In 2018, gifts of up to $15,000 are tax-exempt. Gifts to pay someone’s tuition or medical expenses, gifts between spouses, and gifts to political organizations are also exempt. But if the gift is over $15,000 and not for one of those purposes, it is subject to tax at a rate from 18% to 40%, depending on the size of the gift. With such a big jackpot, the winner will likely want to keep in mind that, as of 2018, he or she has a $11.2 million lifetime gift tax exclusion. Take heart if you did not win the lottery this week. Even if you won’t find yourself on your private island this winter, you also won’t have to worry about minimizing the tax implications of your win!